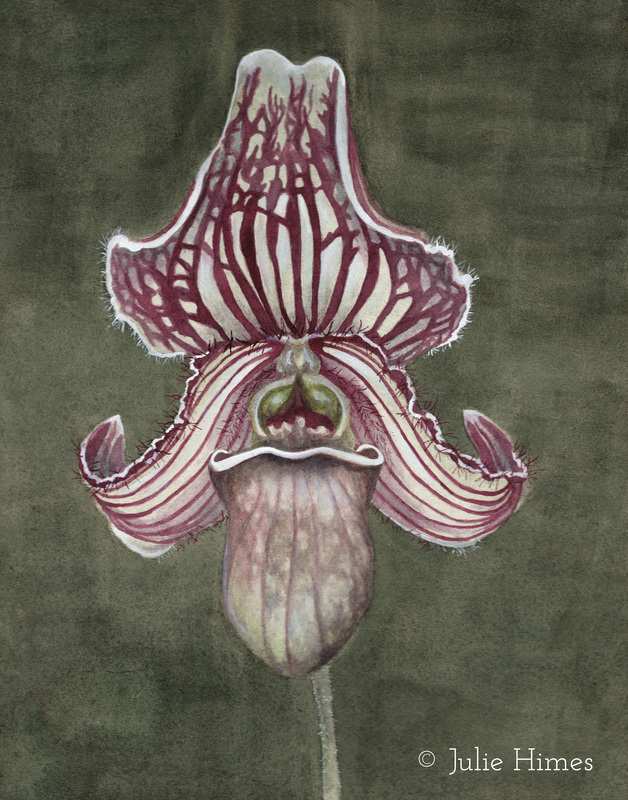 "Lady slipper" describes orchid species in the genus Paphiopedilum or Cypripedium. These orchids attract insect pollinators by looking like a nesting spot. Some bees lay eggs in dark holes and others lay eggs amongst aphids, which then become a source of food for the newly hatched larvae. Lady slippers appear to be dark holes and often have hairs and spots to mimic aphids. When the bees visit the orchid, they get temporarily trapped in the cupped labellum and pick up pollen as they try to escape.